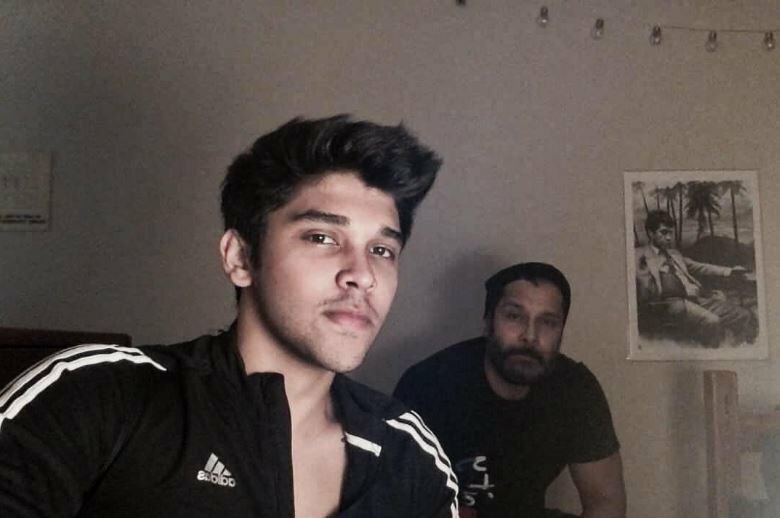 The photos of Vikram’s son Dhruv were recently making the rounds in social media and there were talks that he may soon make his debut in Kollywood. Now the official confirmation of the same was made by Vikram on his Instagram Page. Dhruv will make his debut in the remake of Telugu hit flick ‘Arjun Reddy’ which has was a huge hit in Andhra Pradesh and Telangana. Arjun Reddy had Vijay Devarakonda and Shalini Pandey playing the lead roles. The flick will be bankrolled by E4 Entertainment banner.